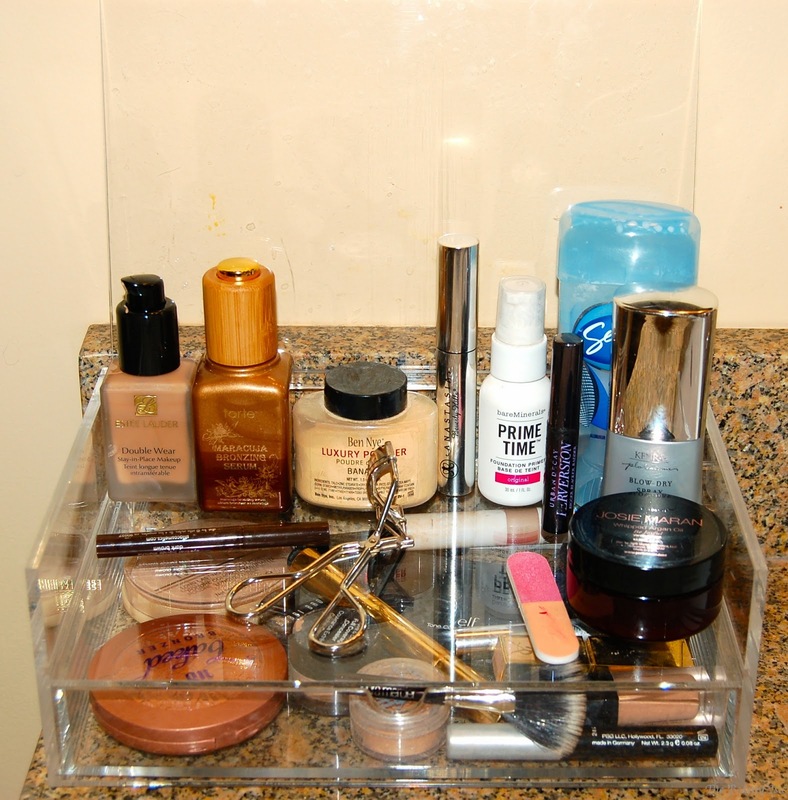 Last week was Part 1 of my updated makeup collection & storage where I featured all the makeup in my Ikea Alex dresser. Today I bring you Part 2 which will feature my beloved mirrored vanity. 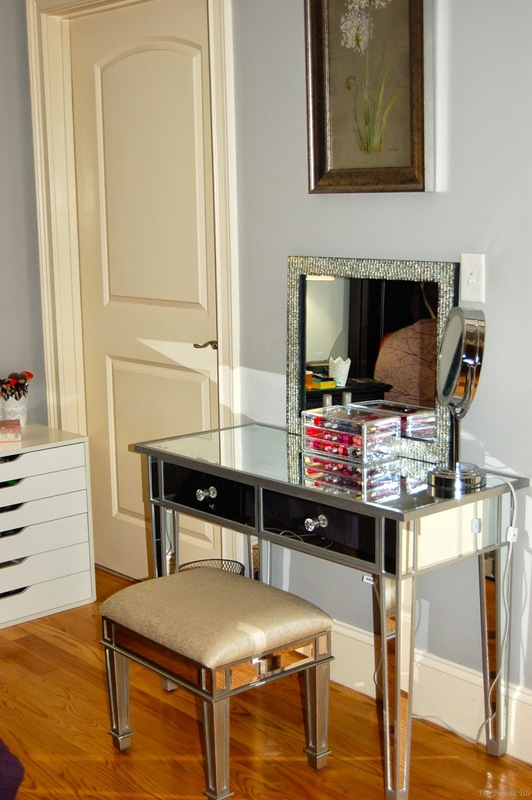 As I stated in my 2013 makeup collection post, I found this vanity when I was looking for something similar to the Hayworth Vanity at Pier 1. This Sei Mirrored Vanity at Amazon is just about half the cost and looks almost identical! I did purchase the Hayworth Bench from Pier 1. The large mirror is from Home Goods, and the lighted mirror is a Conair one from Amazon. 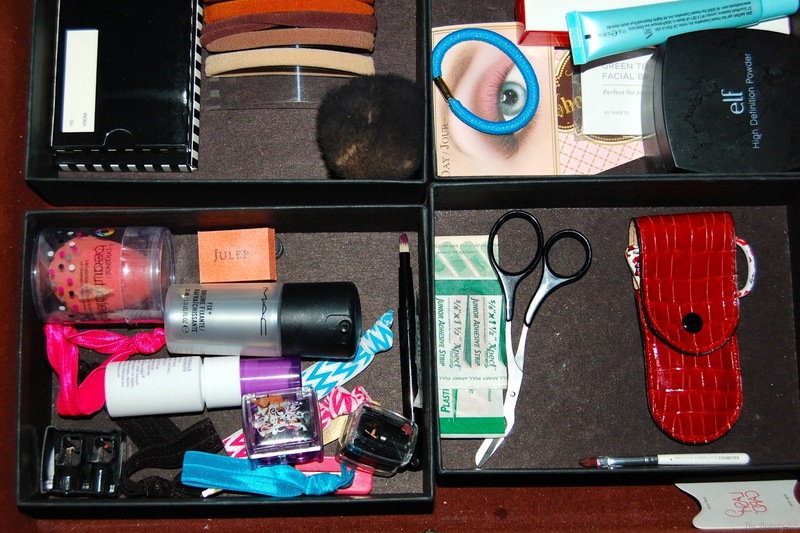 In the left drawer of the vanity I have some MAC Fix+, Urban Decay Setting Spray, some scissors, tweezers, hair elastics, my beauty blender, some backup eye primers, and other random things. I divided the drawer up with small cardboard boxes. In the right drawer, I've got a mini Nars Laguna, Too Faced Chocolate Soleil Bronzer, some eye shadow sponges, hair chalk, and other random items. 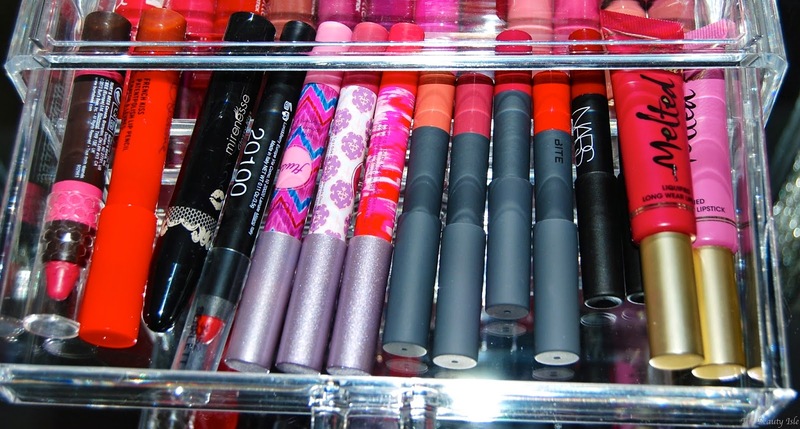 On top of the vanity are some makeup drawers I got from Marshalls in which I mainly store my lip crayons. 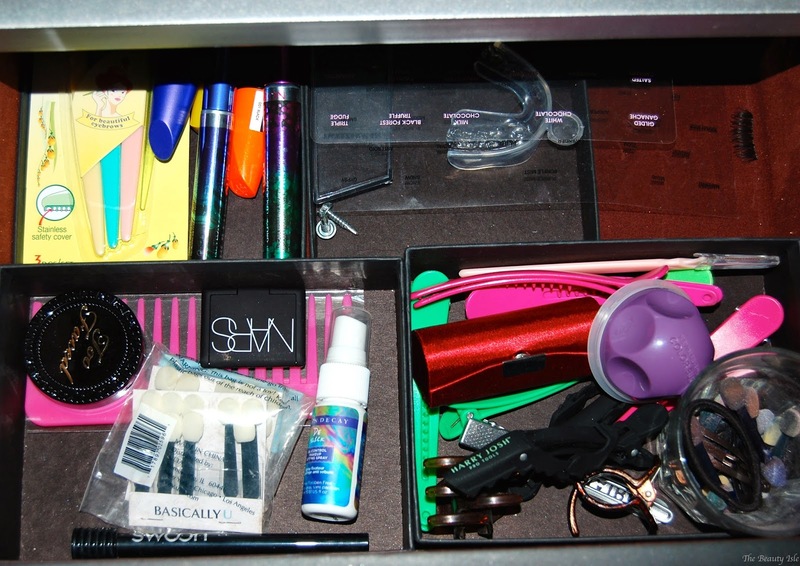 In the top drawer is where I keep my Tarte Power Pigments, some Bite Beauty Lip Pencils, the 2 Nars pencils included in the Sephora birthday gift this year, my Too Faced Melted Lipsticks, and other random lip crayons. 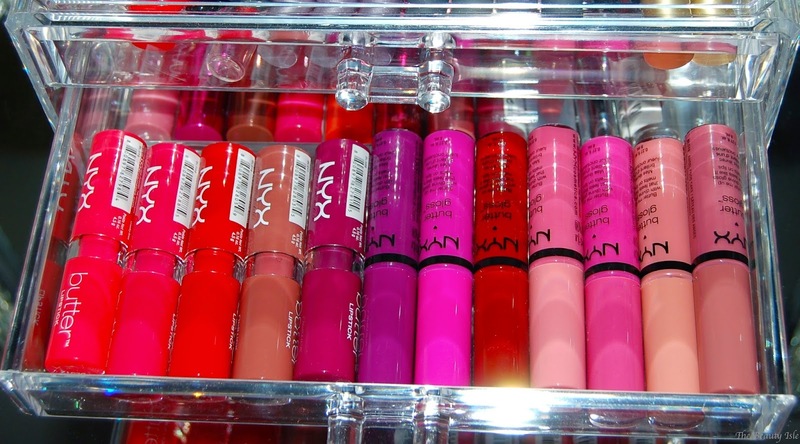 In the middle drawer is where I keep all of my NYX Butter Glosses and Butter Lipsticks. 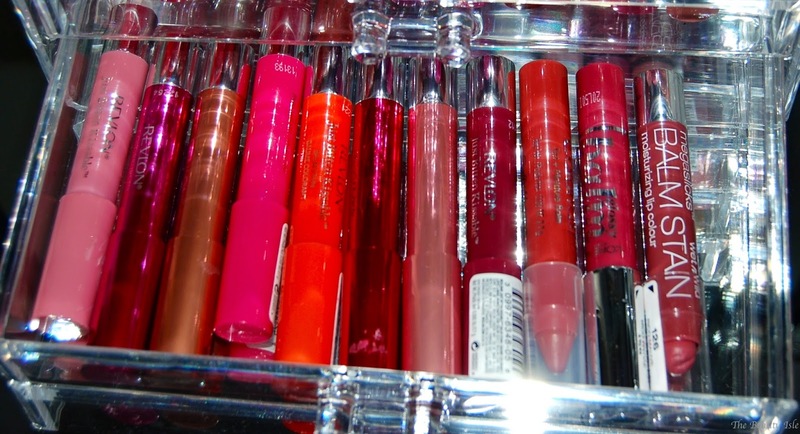 In the bottom drawer I have my Revlon Balm Stains and Lacquer Stains, as well as a few lip crayons from Neutrogena, and L'Oreal. 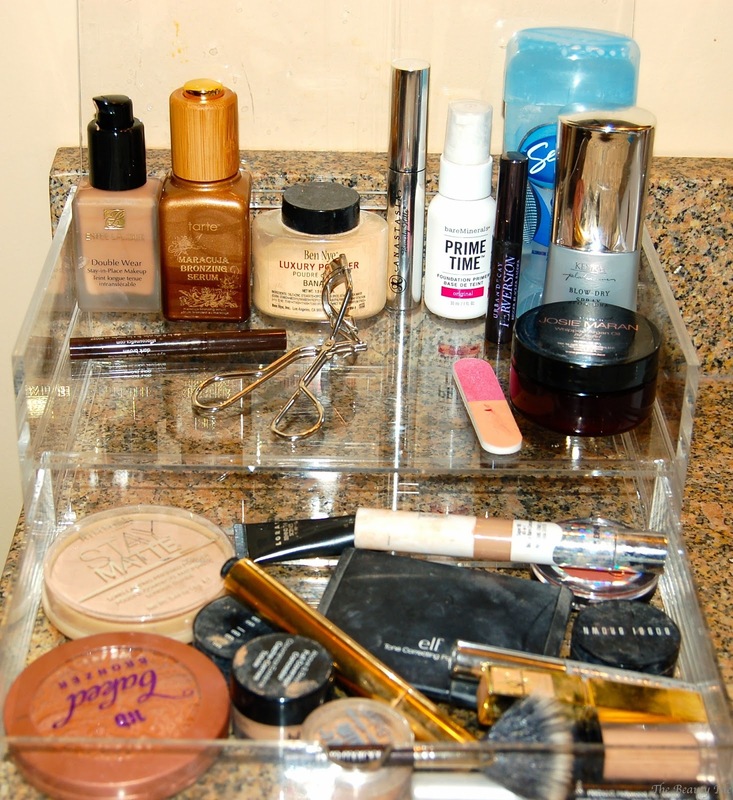 Next I'll show you where I keep all of the products I use everyday. I keep these products in a muji drawer on my bathroom counter. On the top I have my most loved foundation, Estee Lauder Double Wear, Tarte Maracuja Bronzing Serum, my Shu Uemura eyelash curler, some powders, my Anastasia Beverly Hills eyebrow gel, my deodorant, and other random products. In the bottom drawer I have my Rimmel Stay Matte Powder, my Urban Decay Bronzer, an ELF powder, and a bunch of concealers. 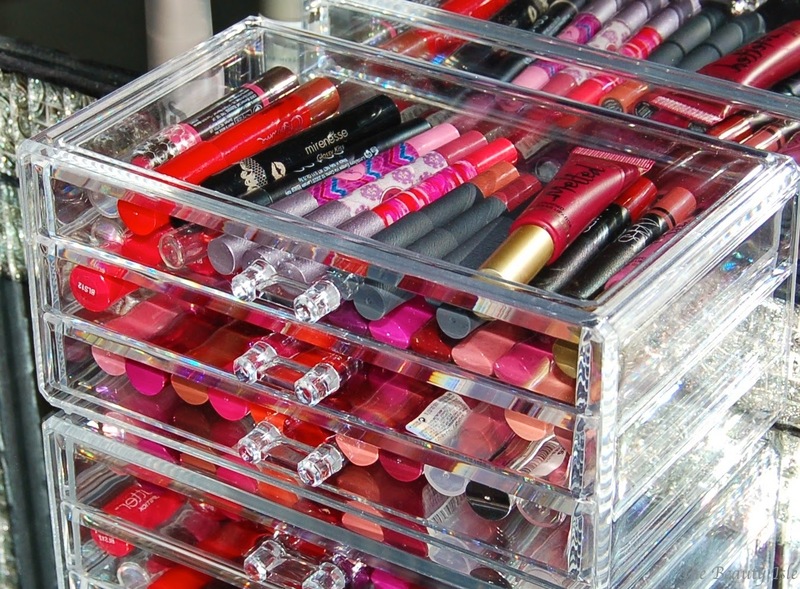 Well that's my entire makeup collection. Be sure to check out Part 1 where I show you most of my makeup. If you have any questions about specific products please let me know in the comments below. Thanks for reading!